Mac and I talked a few days ago about how rad it would be, and how we wished more cities (including resort towns) banded together to have more bike share systems like Paris. 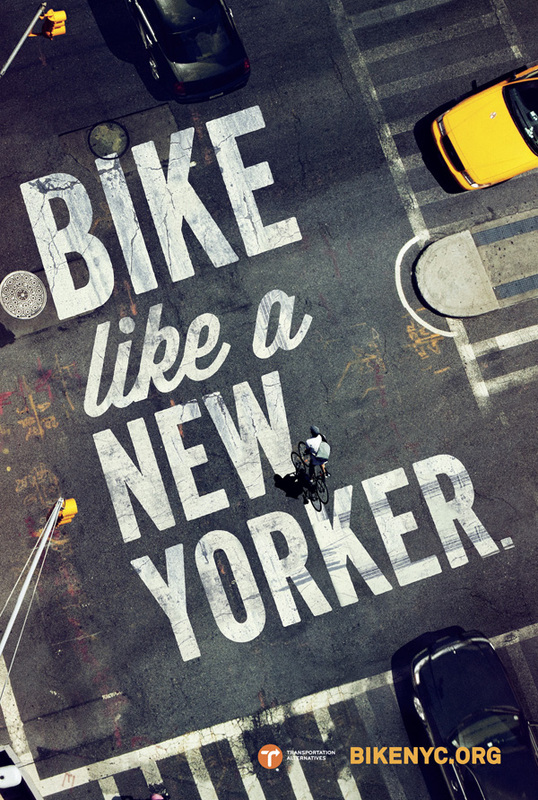 Rather timely to our conversation I came across this hip New York City ad campaign designed by Mother New York about the BikeNYC.org initiative (see the rest of the designs -- they are really funny)! Do you have or use a bike system near you? What do you think about this concept? Maybe it works better in some places better than others? *ps. I am still humbled by all that happened on 9/11, what a day to remember, to remember the heroes. i think it is an excellent idea and i'm excited that my city is catching on soon. salt lake city bike share opens march 2013! Our public bike sharing program got bumped to next spring... can't wait to take up Mother's suggestion and hit NYC's streets on two wheels! I live in Ottawa - a lovely but unadventurous city. But our newish Bixi bike program seems to be going well. https://capital.bixi.com . Lots of tourists use them for sure, not sure if the take up among residents is equally strong. They added more to the fleet this year, so I assume it is here to stay. We have a ton of bike commuters also. So excited for NYC and I hope that many US cities quickly follow suit! I just started using Paris' Vélib and love it! Now when I visit NYC I can embark on some wonderful adventures on two wheels. how interesting! I love that ad. They are just starting to be more bike friendly in LA which is nice. My neighborhood, Santa Monica, is fine but I don't know if I'd want to go much further just yet. we have a bike share program in dublin, and i use it constantly. I don't have any need of a car! Our bikeshare system in DC is so wonderful that I rarely pull my bike out of my condo's storage room. It's been up and running a few years now and has amazing density. Minneapolis has an amazing bike share program called nice ride. We are lucky to have so many bike designated trails, streets and lanes that it makes navigating the city on bike really easy. If i didn't LOVE my bike I would subscribe to bike share in a second! Plus it's a fun social outing. Seeing a city on bike is a great adventure!